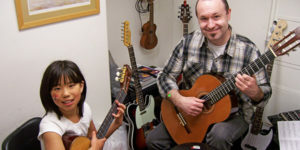 You may register for 10 weekly, private, half hour lessons at $30.00 per lesson*. The fee for the full session is $300.00, payable in advance of the lesson start date. Registration is accepted on a first-come, first-pay basis. We accept Visa, Mastercard, Cash, Debit and Cheque. 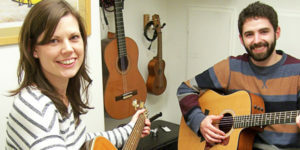 Lauzon Music Centre does not supply musical instruments for music lessons other than pianos. All students must bring their own instrument to their music lessons. Missed lessons by the student, for any reason, are not refundable. There will be no make-up lessons however, if you are unable to attend your prepaid lesson, you may send a family member or friend in your place. If the instructor is absent, a refund or credit will be issued at the end of the session. A. With 7 days notice, you may request withdrawal from the session prior to the start date and receive a full refund. B. With 7 days notice, you may request withdrawal during the session, up to the 5th lesson, and receive a refund for the balance of the session. C. No refunds will be given for withdrawal from the session after the 5th lesson. We are fortunate to have very qualified teachers with Bachelor of Music degrees, Masters of Music degrees or equivalent, instructing our students. Our new soundproof teaching studios provide a comfortable environment for our students and teachers. A waiting area near the teaching rooms allows for parents and students to relax comfortably while waiting for the lesson. *Lesson prices subject to change without notice.